ركود الدولة العثمانية (1683–1827) is the period following the growth of the Ottoman Empire (1453–1683). During this period the empire continued to have military might. The next period would be shaped by the decline of their military power which followed the loss of huge territories. The Battle of Vienna of 1683 marked the greatest extent of the empire in Europe and from a socioeconomic perspective it is accepted as the beginning of the fall of the Ottoman Empire. The stagnation period was followed by the decline of the Ottoman Empire (1828–1908). 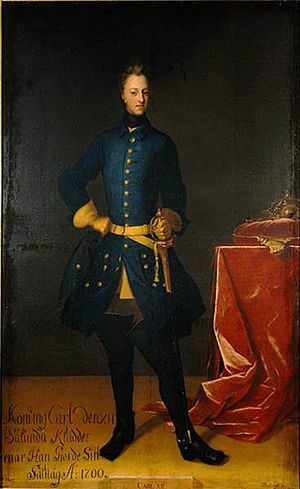 After the defeat of the Ottomans at Vienna, Prince Eugene of Savoy led Austrian forces to victories in the Great Turkish War. By 1699, المجر العثمانية had been conquered by the Austrians. The Treaty of Karlowitz was signed that year. Subsequent wars in the 18th century brought on the معاهدة پساروڤيتش, the معاهدة بلگراد and the معاهدة نيش which firmly established the new Habsburg-Ottoman-Russian borders in the southeast of Europe. Mustafa II sought to turn back the Austrian advance into his Empire and in 1697 took the field in person to reconquer Ottoman Hungary. He was defeated at Zenta by Prince Eugene of Savoy and this event led the Ottomans to seek peace terms. By the 1699 معاهدة كارلوڤيتس، Mustafa II ceded Hungary (انظر المجر العثمانية) and ترانسلڤانيا to Austria, Morea to the Venetian Republic and withdrew Turkish forces from Polish Podolia. Also during this reign, Peter I of Russia (1682-1725) captured the Black Sea fortress of Azov from the Turks (1697). In the treaty that Russia was compelled to sign, the Ottoman Empire obtained the restitution of Azov, the destruction of the forts built by Russia and the undertaking that the Czar should abstain from future interference in the affairs of the Poles or the Cossacks. Discontent at the leniency of these terms was so strong at Constantinople that it nearly brought on a renewal of the war. In 1715 Morea was taken from the Venetians. This led to hostilities with Austria, in which the Ottoman Empire had an unsuccessful outcome, and Belgrade fell into the hands of Austria in 1717. Through the mediation of England and هولندا the peace of Passarowitz was concluded in 1718, by which Turkey retained her conquests from the Venetians, but lost Banat. During the course of the Persian war the Turks made successive conquests with little resistance from Persian armies, though often impeded by the nature of the country and the fierce spirit of the native tribes. After a few years, however, the war became less favourable to Ottoman ambition. The celebrated Persian military leader Nadir Konli Khan (who afterwards reconquered and conquered states for himself), gained his first renown by exploits against the enemies of Shah Tahmasp. In 1731, a dispute arose as to the right of dominion over the Circassians of the Kabartas, a region about half way between the Euxine (Black Sea) and the Caspian Sea, near the course of the river Terek. The Russians claimed the Kabartas as lands of Russian subjects. They asserted that the Circassians were originally Cossacks of the Ukraine, who migrated to the neighbourhood of the Russian city Terki, from which they took their name of Tchercassians, or Circassians. Thence (according to the memorandum drawn up by the Czar's ministers) the Circassians removed to the neighbourhood of Kuban; still, however, retaining their Christian creed and their allegiance to the Czar. The story tells further that the tyranny of the Crim Tartars(Crimean Tatars) forced the Circassians to become Muslims, to migrate farther eastward to the Kabartas; but, nevertheless, the Circassians were still to be regarded as subjects of their original earthly sovereign, and that the land which they occupied became the Czar's territory. This political ethnology had but little influence upon the Turks, especially as the Czar had, in a letter written nine years previously, acknowledged the sovereignty of the Sultan over the Circassians. The Russian war was fought primarily in the Crimea and the Danubian Principalities (Wallachia and Moldavia). In this war, the Russian commander Von Munnich routed Mahmud I's Crimean Tatar vassals and then led his forces across the Dniestr, bringing much of Bessarabia under Russian control. The Austrians, however, did not fare as well, as Ottoman forces brought Belgrade and northern Serbia back under their control. The Persian wars saw Ottoman forces ranged against the military genius of Nadir Shah. The Turks managed to retain control of Baghdad, but Armenia, Azerbaijan and Georgia fell back within the Persian sphere of influence. After the death of Ragihb Pasha in 1763, The Sultan Mustafa III governed by himself. He was not good at selecting councilors and commanders. He was a headstrong and hasty man, which contributed to his poor decisions. However he was very industrious and talented, and was dedicated to promoting the interests of the Ottoman Empire. In 1774 after a catastrophic war with روسيا, the Ottomans were compelled to sign the معاهدة كوچوك-كاينارجي. Selim III (1789-1807) attempted to improve administrative efficiency through reform, but was killed by a Janissary revolt when he tried to create a new army and navy.